Wash away the old and in with the new! Give your business a new look, clean her up. Berkeley Services is Houston's Commercial Power Washing Specialist. Impress your guests with a clean parking garage. Berkeley Services has been cleaning parking garages since 1975. Don't let dirty equipment or facilities compromise your operations. Berkeley Services offers quick, effective, and professional cleaning for all your industrial needs. Our strategy is simple, we strive to keep your property maintained and beautiful year after year. With our large fleet of trucks and professionals ready to rejuvenate your property, Berkeley Services is Houston's #1 in Commercial Pressure Washing. Need your parking garage cleaned now? Berkeley Services is the fastest parking garage cleaning company in Houston. We can clean an entire parking garage in just one weekend. With our 24-hour, around the clock, services we are able to clean your garage when customers aren't there. Get cleaned the right way with Berkeley Services, Power Washing Houston Company. A clean plant is an efficient plant. 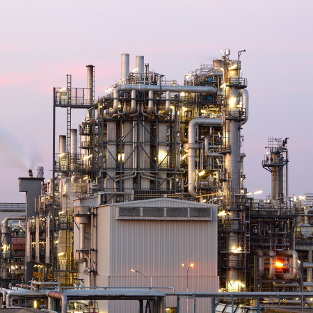 Industrial cleaning through Berkeley Services' specialists helps to keep your facility maintaining full operating efficiency.  Contact us today for a free consultation! Berkeley Services is experienced and trusted for Industrial Pressure washing. Safety is our number #1 concern. For Houston Commercial Pressure Washing, Berkeley Services is the right choice. 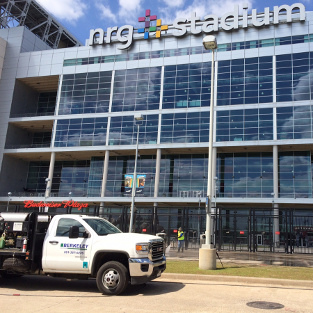 We continue to pressure wash major facilities across Houston, from downtown parking garages to the NRG Stadium. We are a highly trusted Houston Power Washing Company. Professionalism, reliability, and experience are three key factors when searching for a commercial pressure washing company. When you mix all three components together, you will find Berkeley Services. Berkeley Services has been providing commercial pressure washing services since 1975. 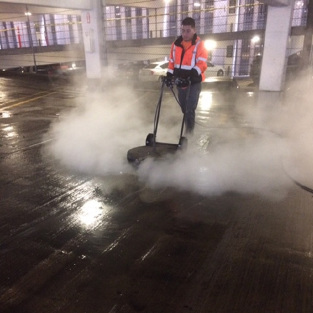 Our extensive experience is geared toward pressure cleaning concrete, store fronts, sidewalks, roofs, parking lots, parking garages, docks, as well as industrial facilities. With thousands of happy customers, Berkeley Services aims to continue to make Houston shine.